Thread forming and thread rolling are processes for forming screw threads, with the former referring to creating internal threads and the latter external threads. 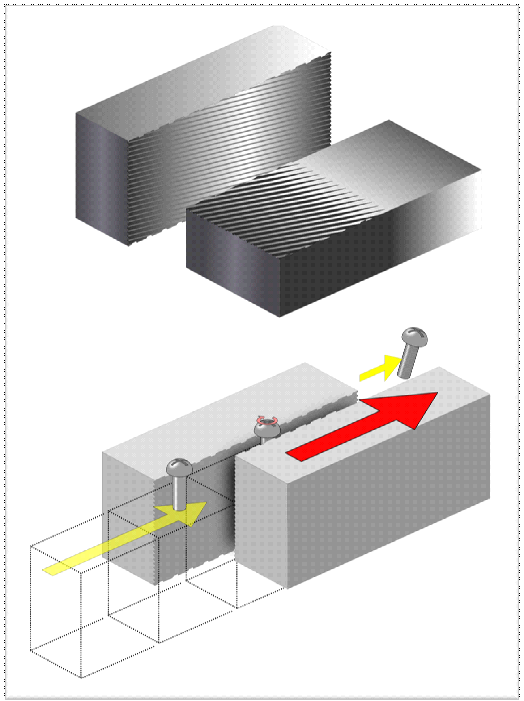 In both of these processes threads are formed into a blank by pressing a shaped tool, commonly called a 'thread rolling die' against the blank, in a process similar to knurling. These processes are used for large production runs because typical production rates are around one piece per second. Forming and rolling produce no swarf and less material is required because the blank size starts smaller than a blank required for cutting threads; there is typically a 15 to 20% material savings in the blank, by weight. A rolled thread can be easily recognized on fasteners that were formed from an unstopped blank because the thread has a larger diameter than the blank rod from which it has been made; however, necks and undercuts can be cut or rolled onto blanks with threads that are not rolled, and some fasteners are made from blanks with a reduced shank in the region to be rolled to maintain a constant major diameter from thread to unthreaded shank. Unless faced off, the end threads of a rolled fastener have a cupped end, as the surplus material in the tapering down final threads collapses uniformly over the end of the blank. There are four main types of thread rolling, named after the configuration of the dies: flat dies, two-die cylindrical, three-die cylindrical, and planetary dies. The flat die system has two flat dies. The bottom one is held stationary and the other slides. 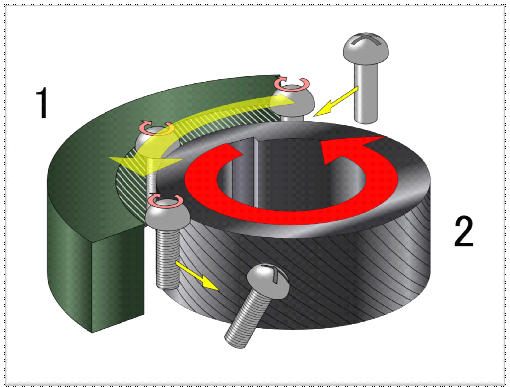 The blank is placed on one end of the stationary die and then the moving die slides over the blank, which causes the blank to roll between the two dies forming the threads. 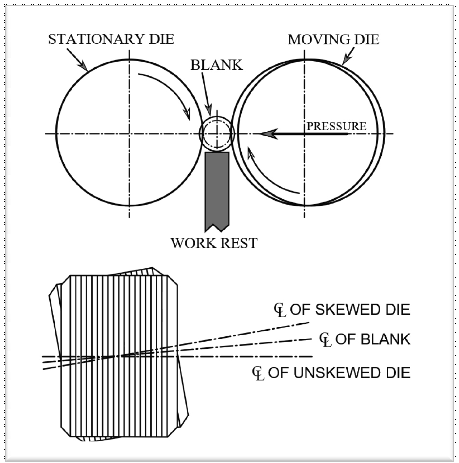 Before the moving die reaches the end of its stroke the blank rolls off the stationary die in a finished form. The two-die cylindrical process is used to produce threads up to 6 in (150 mm) in diameter and 20 in (510 mm) in length. 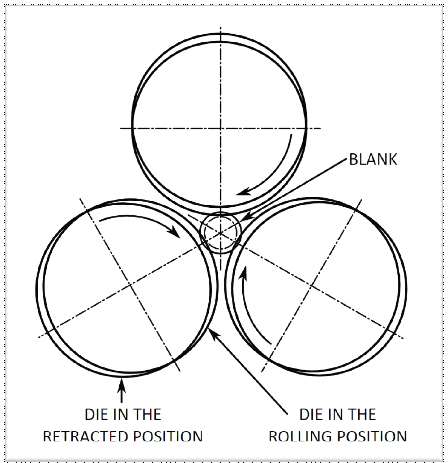 There are two types of three-die processes; the first has the three dies move radially out from the center to let the blank enter the dies and then closes and rotates to roll the threads. This type of process is commonly employed on turret lathes and screw machines. The second type takes the form of a self-opening die head. This type is more common than the former, but is limited by not being able form the last 1.5 to 2 threads against shoulders. Planetary dies are used to mass-produce threads up to 1 in (25 mm) in diameter. XY-Global is the leading manufacturer that enables any company, organization or individual to design, price and instantly order mechanical parts. Here is our website : www.diecastingpartsupplier.com .